Japan’s Toyo Ink SC Holdings Co., Ltd., the parent company of the Toyo Ink Group of Japan, has opened a new sales subsidiary in Casablanca, Morocco, in preparation for a full-scale business launch into the African continent. Eyeing the future economic progress of Africa, the company says it will set up its very first office on the continent, Toyo Ink North Africa S.A.R.L., for the medium- to long-term timeframe, with paid-in capital of EUR2.4 million. Toyo Ink North Africa will be engaged in developing business opportunities for a wide range of group products such as commercial printing inks, liquid (flexo and gravure) inks and adhesives for food packaging, and can coatings. It will market existing group products while functioning as a market research hub to help promote products customized to the unique needs of local markets. Moreover, the new subsidiary will not only focus on expanding sales and the development of ink products, but also work to increase sales of the group’s growing chemical businesses. Through its business activities, Toyo Ink North Africa says it aims to form a solid foundation on which to make a positive contribution to the growth and development of African nations over the long term, and to ultimately realize the group vision of creating a vibrant world in which all living beings and the environment can coexist harmoniously. In other news, machinery firm Engel’s Mexican branch has opened a second location in Mexico in San Pedro near Monterrey. 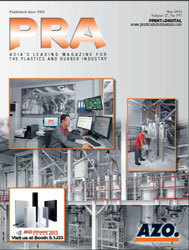 Austrian firm Engel is headquartered in Querétaro near Mexico City in the centre of the country, where numerous companies in the plastics industry are also based. 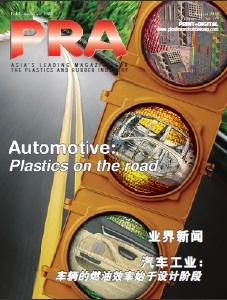 There are 800 km between the two industrial regions. "We are thus shortening the distance to our customers in the very important industrial region in the north of the country," emphasizes Peter Auinger, Managing Director of Engel in Mexico. Injection moulding machine manufacturer and system solutions provider Engel, headquartered in Austria, has had its own sales and service subsidiary in Mexico since 1996. In 2010, the premises were moved from Mexico City to Querétaro and significantly expanded. 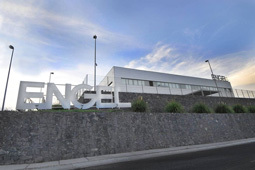 Engel has its own machine technology centre and spare parts warehouse in central Mexico and employs almost 70 people in the country.